The first season of Castlevania teased fans with a measly four episodes, adapted from the iconic Konami video games. Season Two of the Netflix original animated series, however, delivers 8 action-packed Easter egg stuffed episodes. In addition, the dialog is phenomenal, the storyline is entertainingly adapted from Castlevania: Curse of Darkness and Castlevania III: Dracula’s Curse, while the music is nostalgic and intense. 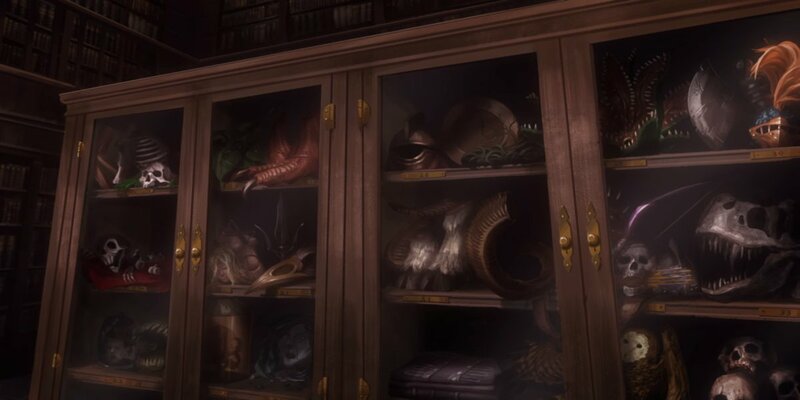 There’re so many references and facts in Season 2, the following is part one of a 2-part Castlevania Easter egg bonanza. Warning! Minor spoilers ahead. Enter at your own risk. 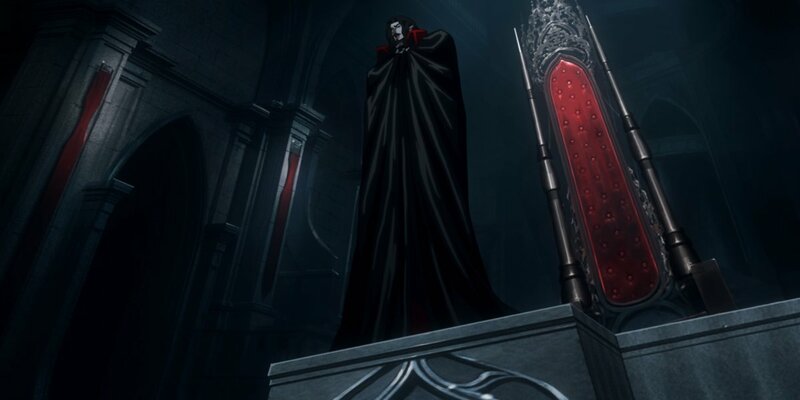 Covering all 8 episodes of the Netflix original animated series Castlevania Season Two, here are 26 individual Easter eggs causal fans might have missed. Traditionally known as Devil Forgemasters, the concept first appeared in Castlevania: Curse of Darkness — along with Hector and Isaac. Like the Netflix adaptation, Hector betrays Dracula and Isaac (also featured in Castlevania III: Dracula’s Curse) remains loyal. Slogra and Gaibon were the final bosses Simon Belmont faced (Super Castlevania IV) before squaring off against Dracula. 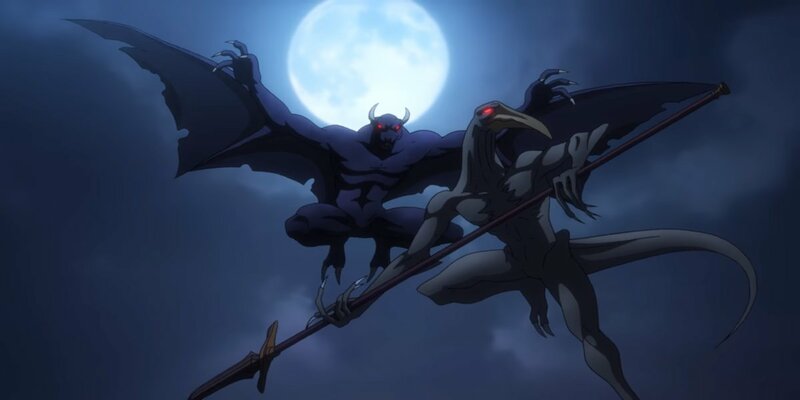 The paired aerial attack used by the monsters in Episode 2 is from Castlevania: Symphony of the Night. In the same scene, a fire-breathing Hellhound (another boss from Castlevania: Bloodlines) also attacks Trevor Belmont, Sypha, and Alucard. Originally featured in Simons Quest, the song “Bloody Tears” is a tune Castlevania gamers will recognize almost immediately. Composer for the Netflix original series, Trevor Morris, incorporated this iconic song in Episodes 2 and 7 of Castlevania Season Two. 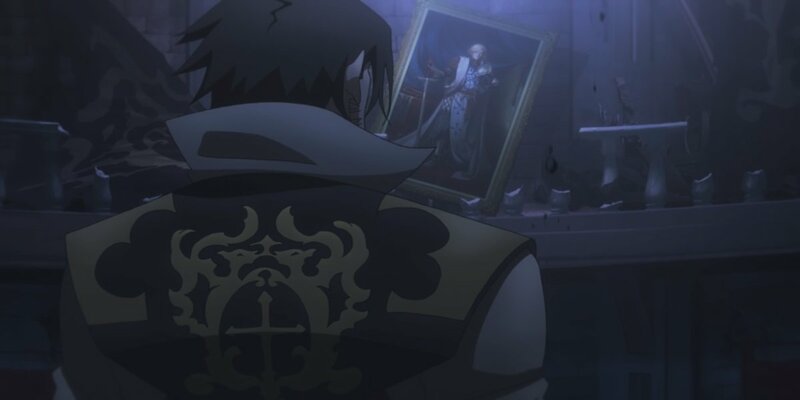 Gamers will recognize the name of Leon Belmont (painting of him in Episode 3 and 7), founder of the Belmont legacy and prominently featured as the lead protagonist in Castlevania: Lament of Innocence. The series would, unfortunately, retcon Leon’s story (non-Canon) with Castlevania: Lords of Shadow, introducing Gabriel Belmont. Alucard shows off his skills is Castlevania Season Two, Episode 2, when fighting Slogra and Gaibon. The move is called Teleport, first featured in Castlevania: Symphony of the Night. The name Carmilla comes from a Joseph Sheridan Le Fanu novel (written before Bram Stoker’s Dracula). She first appears in Castlevania II: Simon’s Quest, followed by Castlevania: Rondo of Blood, Castlevania: Judgement, and the Castlevania: Lords of Shadows series (non-Canon). Featured in most of the Castlevania games is a final scene showing our hero bathing in a sunrise after fighting evil throughout the night. 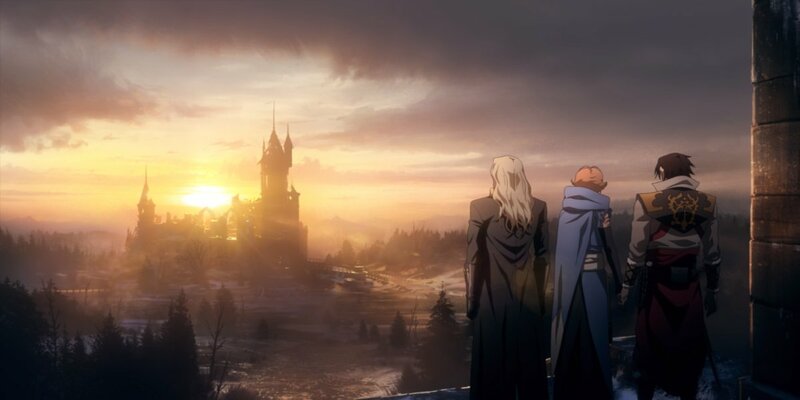 Netflix Castlevania Season 2 the series pays tribute to this classic moment following the defeat of Dracula (Episode 7: Trevor Belmont, Alucard, and Sypha looking out over the remains of the Belmont castle from inside Dracula’s castle).